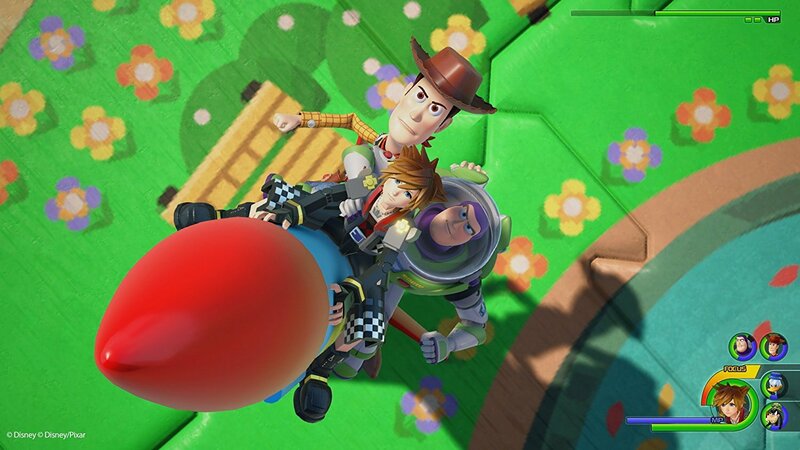 After what seems like an eternity, Kingdom Hearts 3 is real, and it's finally available for preorder. We still don't know when to expect it to hit store shelves, but Square Enix says that its release date will be announced during E3 2018. It's expected to land on Xbox One and PlayStation 4 at some point this year, but we're still waiting around to see exactly when that may be. Luckily, you still have time to lock in pre-orders for the hotly-anticipated follow-up to Kingdom Hearts 3. While there aren't many incentives to grab the game early other than a few discounts at this time, it's still good to be prepared, and you'll be ensuring you'll have the game at your doorstep as soon as it's available if you choose to go the physical copy route. Here's everything you need to know about pre-ordering Square Enix's massively popular new RPG, and where you can nab the game on sale, too. There are currently no Kingdom Hearts 3 pre-order bonuses up for grabs. This will likely change as more information is released about the game, but as of right now you can plan on getting the game only. We'll continue to update this guide as things continue to change. The most ornate collector's edition you can pick up at this time is a Square Enix Store exclusive version: the Kingdom Hearts 3 Deluxe Edition + Bring Arts Figure. 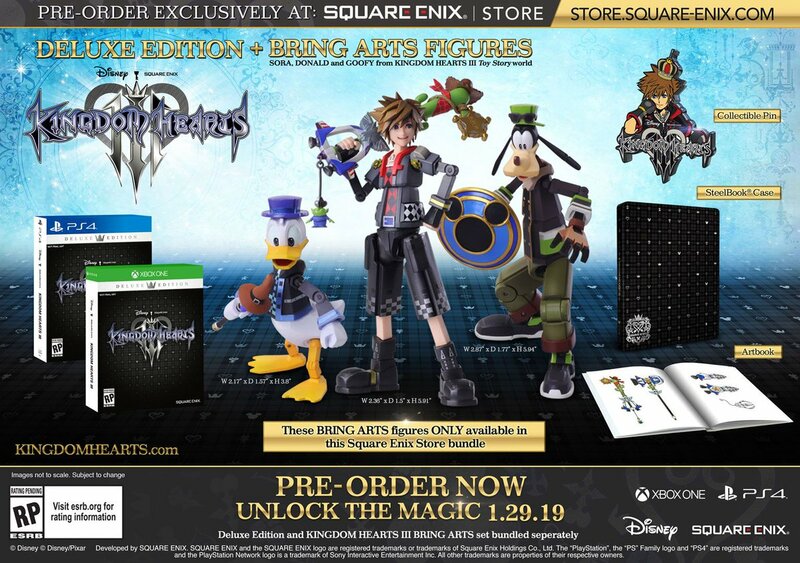 The set comes with Sora, Donald, and Goofy Bring Arts figures, a collectible Sora pin, a SteelBook case, and a copy of the game. You can pre-order the collection right now for $229.99 right here via the Square Enix Store for Xbox One or PlayStation 4. 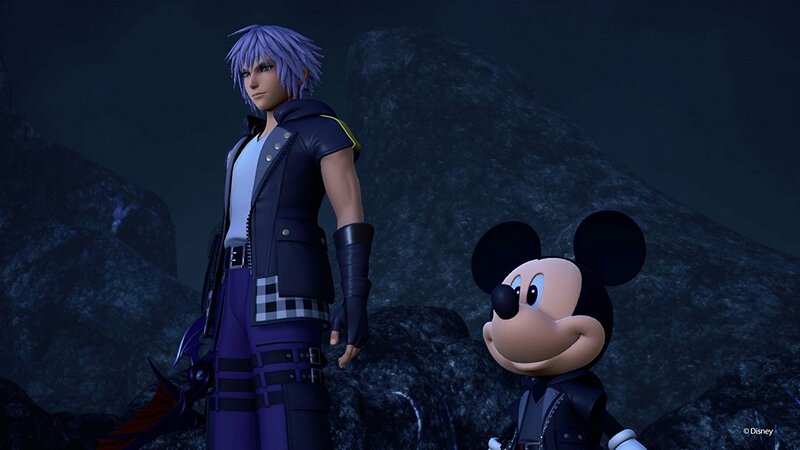 Other than that, there are only vanilla versions of Kingdom Hearts 3 up for preorder right now, but given the scope and importance of this release, that will likely change the closer we get to the game's debut. It's possible that additional special versions with collectors' items will be released soon, at which point we'll keep you updated on all the various sets available. Right now, you've only got both PlayStation 4 and Xbox One copies with no frills to choose from. 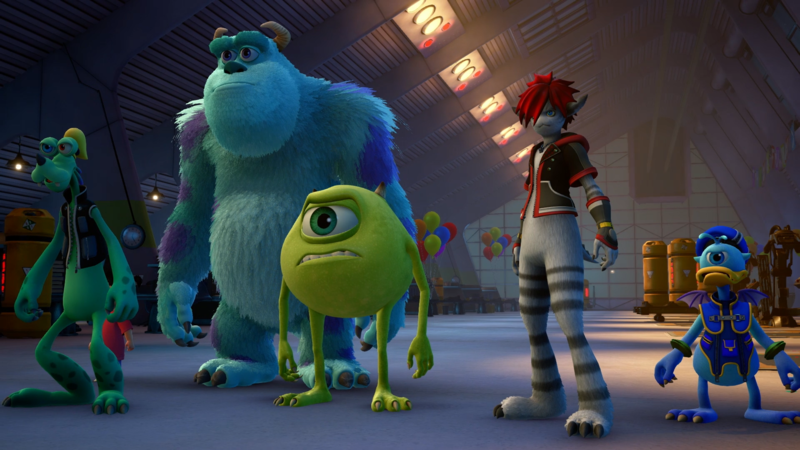 Where to Pre-Order Kingdom Hearts 3? Unfortunately, this early in Kingdom Hearts 3's life cycle, there aren't that many discounts available for pre-ordering early. You can still use Best Buy's Gamers Club Unlocked program to receive 20 percent off of new games and pre-orders to pick up a copy at Best Buy, however. Though the retailer is apparently phasing out the program and no longer accepting new members, if you still have access to it as a Best Buy shopper, it's best to leverage the discount while you still can. Make the best out of your membership, which will allow for savings of $12. That comes out to $47.99 for a brand new game, which is a great price. For non-Best Buy Gamers Club Unlocked members, the best bet would be to use new or existing Amazon Prime accounts to scoop up a pre-order from Amazon. The Prime Pre-order Price Guarantee will net you $12 off the game, which will make it $47.99 as well. As far as other retailers go, you can nab Kingdom Hearts 3 early from just about any video game and electronics store, but these are currently the biggest discounts you'll receive in terms of pre-orders.